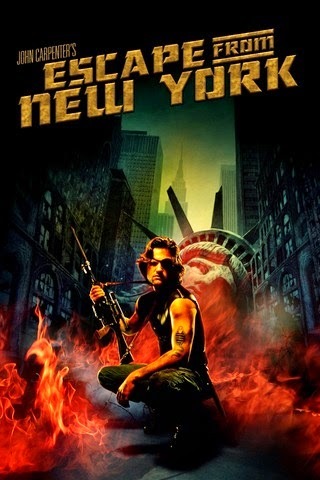 The early scenes of the film introduce the location (a futuristic New York that has been turned into a prison ghetto) the mission (rescue the President from said ghetto in a finite amount of time) and the characters (anti-hero Snake Plissken, a friendly cabbie, a gang of crazies that live in subways and sewers). I was captivated by the setting. I had to do an RPG. The thing was I had only seen the first half of the movie. I forget the reason. So, our first couple encounters followed the movie pretty closely. But soon enough my player (and yes, at the time I had only one) started doing things that took us off track. And since I didn’t know how the story was “supposed” to go, I just took the elements I had thought were the most interesting, and expanded them. Many years later I realized what had made that game so special: it was based solely on a setting, not an outline. My GM technique for this post is: pick a movie that has looks like it has good RPG potential, watch the first 45 minutes, gather your group, tell them the setup, and see where they take it. This approach will force you not to have any pre planned ideas about your the game is “supposed” to turn out, since you’ll only have settings and characters to go on (and if the movie’s good, they’ll hopefully be pretty juicy). It will keep you on your toes, reacting to your players’ choices instead of the other way around. And trying to create a game that feels like something you’ve seen (instead of something you made up yourself) will get you outside your own head so you’re better able to evaluate your own stories in the future. ... Of course it has one major drawback. When you go back and watch the rest of the movie, you may not find it as interesting as your own game! I certainly didn’t.